Nashville, TN May 25th, 2016 — Some things you know are just meant to be, but it was still welcome news for Rob Ickes & Trey Hensley when their debut duo album, Before The Sun Goes Down, earned a Grammy nomination for the Best Bluegrass Album. And with the release of their new project, The Country Blues on July 8th, the pair build on the first one’s strengths to take their unique musical conversation to an even higher level. Trey Hensley, despite his young age, has already forged his own style. What started twelve years ago as a kid singing traditional bluegrass has become the mature sound of a country performer and vocalist in his 20s who has already found his voice. While you’ll hear some of his idols and influences around the edges, more than anything, you’ll hear Trey Hensley. Saturday, June 21st, 2014, at 7:30 p.m. the Carter Family Fold in Hiltons, Virginia, will present a concert of bluegrass music by Trey Hensley & Drivin’ Force. Admission to the concert is $10 for adults, $1 for children 6 to 11, under age 6 free. Marion, VA -- Saturday, October 5th at 7:00 pm, Song of the Mountains at the beautiful Lincoln Theatre in Marion, Virginia invites you to see and hear the Primitive Quartet, Trey Hensley, Jimmy Bowen and Santa Fe, the Gravy Boys and Rebecca Frazier and Hit and Run. This concert will be taped for national distribution across America. Song of the Mountains is in their ninth season of tapings and reaches millions of households every week on public television. 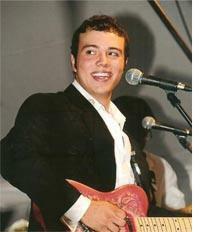 Hiltons, VA -- Trey Hensley, despite his young age, has already forged his own style. What started eleven years ago as a kid singing traditional bluegrass has become the mature sound of a 21-year old country performer and vocalist who has already found his voice. While you’ll hear some of his idols and influences around the edges, more than anything, you’ll hear Trey Hensley. Saturday, December 8th, 2012, at 7:30 p.m. the Carter Family Fold in Hiltons, Virginia, will present a concert of bluegrass music by Trey Hensley & Drivin’ Force. Admission to the concert is $8 for adults, $1 for children 6 to 11, under age 6 free. Hiltons, VA -- Trey Hensley has been performing since age seven. After picking up a guitar at the age of ten, he quickly took the bluegrass world by storm – even performing on the Grand Ole Opry when he was eleven. Three years ago, the now 19-year old, seasoned artist followed his heart and interests into the world of country music. Saturday, September 8th, 2012, at 7:30 p.m. the Carter Family Fold in Hiltons, Virginia, will present a concert of bluegrass music by Trey Hensley & Drivin’ Force. Admission to the concert is $8 for adults, $1 for children 6 to 11, under age 6 free. 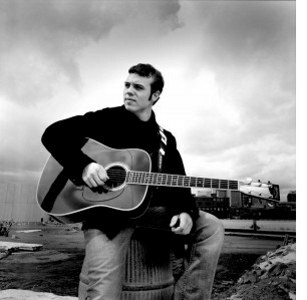 Trey Hensley has been performing since age seven. After picking up a guitar at the age of ten, he quickly took the bluegrass world by storm – even performing on the Grand Ole Opry when he was eleven. Three years ago, the now 19-year old, seasoned artist followed his heart and interests into the world of country music. Saturday, February 4th, 2012, at 7:30 p.m. the Carter Family Fold in Hiltons, Virginia, will present a concert of bluegrass music by Trey Hensley & Drivin' Force. Admission to the concert is $7 for adults, $1 for children 6 to 11, under age 6 free.